Treat your best friend to pure, simple chewing pleasure with Crunchy Munchy Sticks. Made with just two ingredients, these all-natural chews are high in protein, low in fat and easily digestible. Plenty of chew time with the tasty and healthy rawhide sticks. Rawhide is a natural treat and will help to control plaque and tartar build up, promoting your dog’s dental health. Crunchy Munchy Sticks have always been a doggie favourite. The long-lasting chews are great for teeth and gum health. 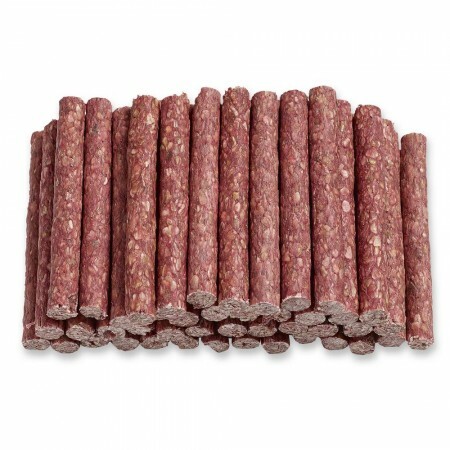 The granulated rawhide is formed into sticks to provide a quick, delicious treat that’s easier to chew than large rawhide. 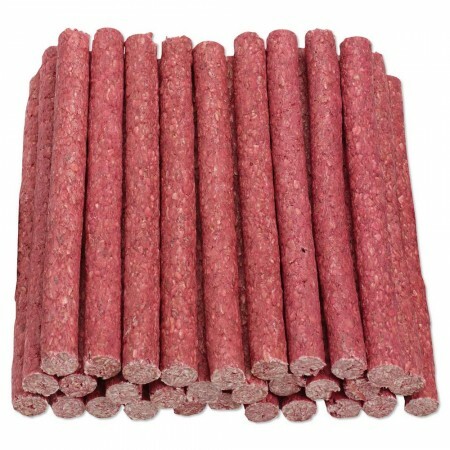 Give your dog something to chew on with Crunchy Munchy Sticks 5” 10 mm Assorted. This delicious mix of rawhide chews help reduce boredom and anxiety, as well as helping to support good dental health between brushings by removing plaque and tartar. 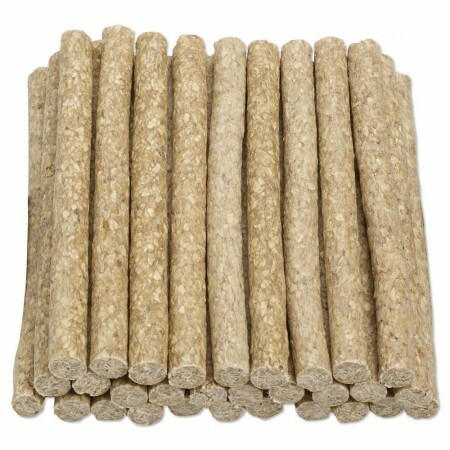 The Crunchy Munchy Sticks 10” 20 mm Natural are durable dog chews that will give your furry friend hours of chew time. These all-natural, 100% digestible dog snacks contain zero additives and are a healthy option for dogs of all ages and sizes. The larger sticks are especially suitable for the aggressive chewers.